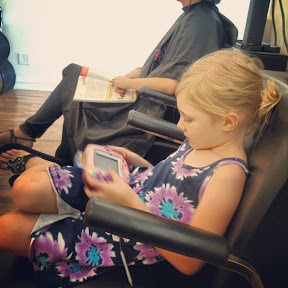 The kids have been on a Salon kick the past few days. They named the salon Vidal Sasoon. 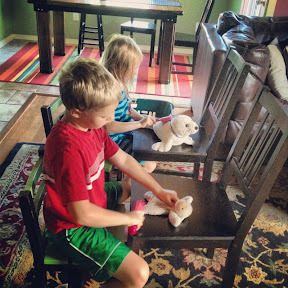 Today the decided to groom their stuffed animals. 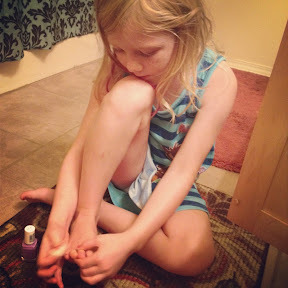 Then, Ariel and I did some grooming on our own by painting our toenails. 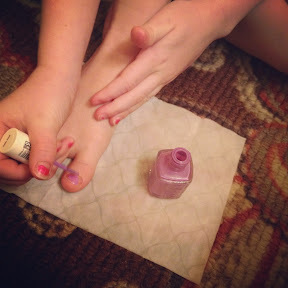 I even let her paint them on her own...with just a little help! Today I had a hair appointment with Connie and Ariel decided she needed to be under the dryer too!